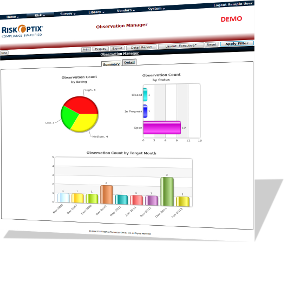 RiskOptix – Chapman Technology Group, Inc.
RiskOptix is a powerful tool to evaluate, manage and document the current state of your institution's risk profile and control environment. Built on BizOptix, and leveraging our security and compliance roots, the web-based solution uses a proven methodology based on regulatory guidelines. Time-Proven Modules with More on the Way! Vendor / Contract (3rd party) Management. Survey and Work Paper Management. © 2018 All Rights Reserved. BizOptix® and RiskOptix® are registered trademarks.